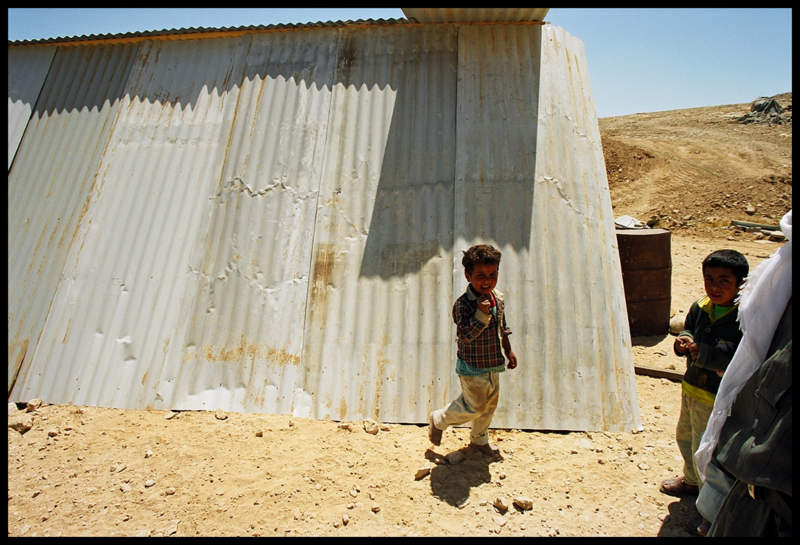 The Bedouin village of Abu Tlul, situated approximately 10 kilometers from Beersheva, south of the road to Dimona, has a population of approximately 1,600. The residents of the village settled this site before the establishment of the State of Israel. Although the village is recognized, it has no infrastructure: there is no electricity, no running water or provisions for waste and sewage disposal, and, due to the threat of demolitions carried out by the state, most of the buildings are makeshift in nature. The overall aim of Bimkom’s workshop in Abu Tlul was to support the community’s wishes that the local plans developed by the planning authorities meet their specific needs as an agricultural and family-based Bedouin community. Its immediate objectives were to empower the community and provide them with the tools and knowledge to understand the planning process, to envision solutions that correspond to their needs and preferences, and to help them engage with the authorities on the plans that will be drawn up. During the workshop, the residents, together with Bimkom’s planning team, prepared a document of planning principles for the village, which presents, in planning terms, the family structure of the community, its needs and preferences. This document served the village residents in their contact with the planning authorities. In late 2012, the new plan for Abu Tlul was deposited for public review. It did indeed include components of the residents’ recommendations. This represents the first time that a plan for a Bedouin village has taken residents’ self-expressed wants and needs into account. This entry was posted in Community Workshops, Uncategorized. Bookmark the permalink.